As a non-emergency medical transportation service who specializes in wheelchair transportation, we understand the importance of finding the right size wheelchair for each individual person. It’s important to find a wheelchair that fits your body frame, as well as lifestyle. 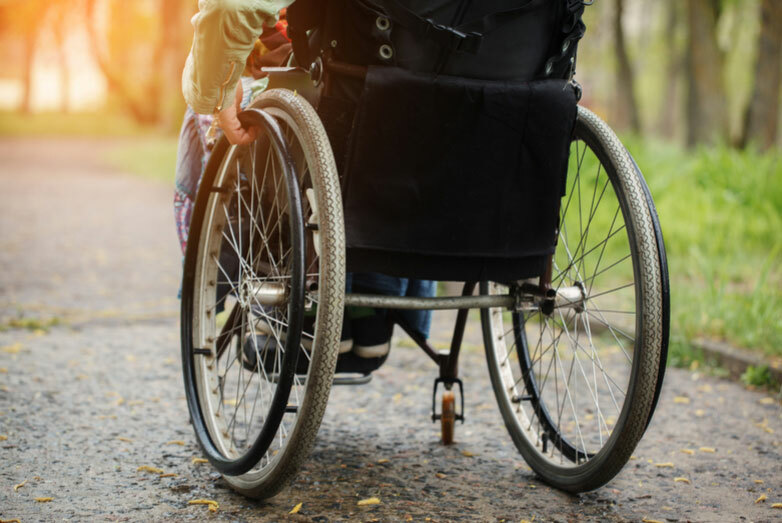 In this article, you’ll learn the basics necessary to measure your body and available wheelchair options to find the best fit. Before you ever look at wheelchair measurements, you must first find out how wide and tall the chair needs to be. That requires finding your personal body measurements, as well as the measurements of the areas you navigate on a daily basis. Start by measuring the width of doorways, elevators, passages, and anywhere else that you pass through on a normal day. The last thing you want is a chair too wide to fit through your doorway or elevator. Next, it’s time to measure your own body so that the chair is comfortable and provides adequate support. One of our favorite tricks is to sit down on a flat surface with books on either side of your hips. Then, stand up and measure the distance between the two books. Add an extra inch-or-so to accommodate for bulky clothing, such as a large winter coat. With these measurements written down, you can look at the dimensions of a wheelchair with greater clarity as to how the dimensions of each chair will fit your body. Next, narrow down the type of wheelchair you plan to purchase. There are standard wheelchairs, transportation wheelchairs, bariatric wheelchairs—all of which may have unique dimensions to take into consideration. The most important factor for most standard wheelchairs is the seat width. However, if you plan to use your feet to propel the chair, then the seat-to-floor height becomes an important factor as well. Keep in mind, if you opt for a chair with dual axles, you can adjust the seat up and down by about 2.5-3 inches. Always start by taking your measurements before looking at the dimensions of wheelchairs—this helps bring the numbers to life, providing a better understanding of chair size. Consider a custom wheelchair for added comfort or if you’ll benefit from unique dimensions that do not come standard. Plan to add a cushion to your chair? Plan for the cushion to add around 2 inches to seat-to-floor measurements. To find the overall width of the wheelchair, add 8 inches to the width of the seat. For transport chairs, add 0-3” to the width of the seat based on the selected model. Keep in mind, there’s no need to a get wheelchair that is too large for you. It might sound more comfortable, but in reality, the larger the wheelchair the heavier it’ll be, and the more difficult it’ll be to navigate.